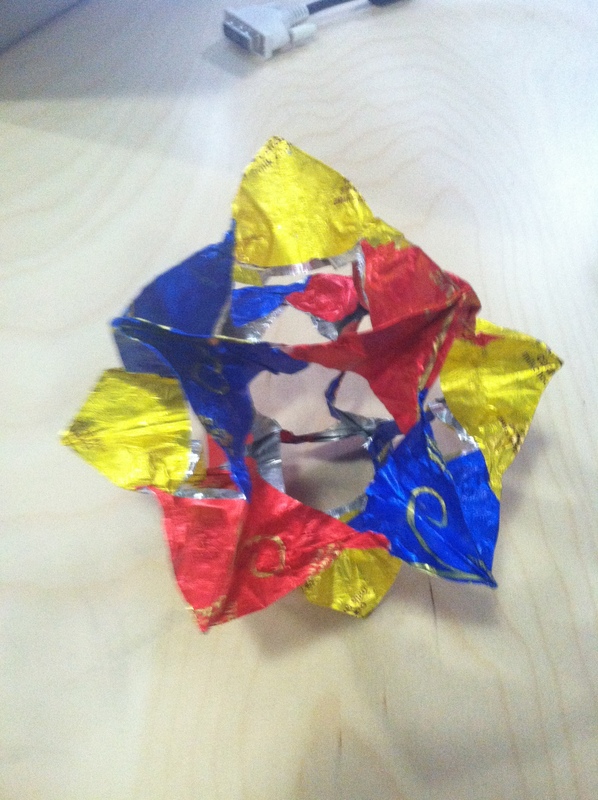 leads to an abundance of chocolate wrappers. 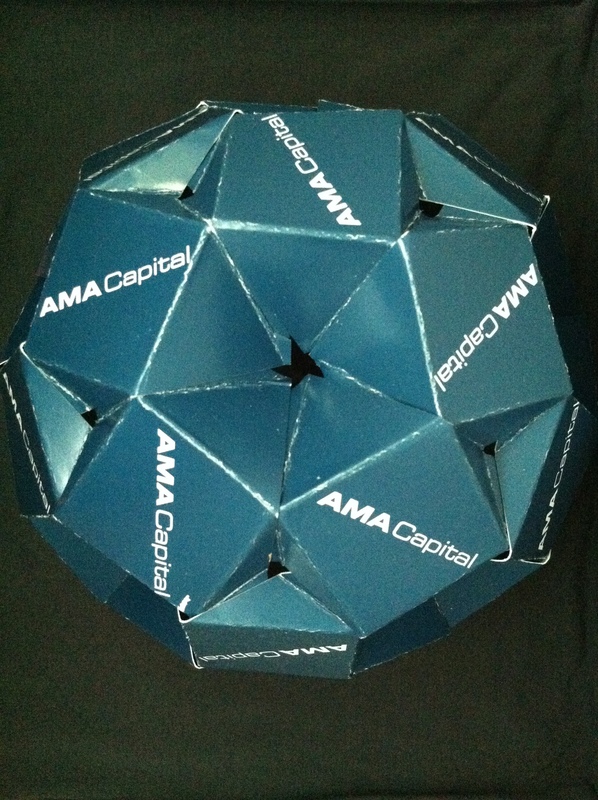 Which, of course, means that there are icosidodecahedra to be made. 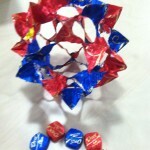 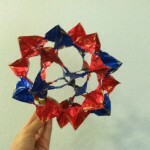 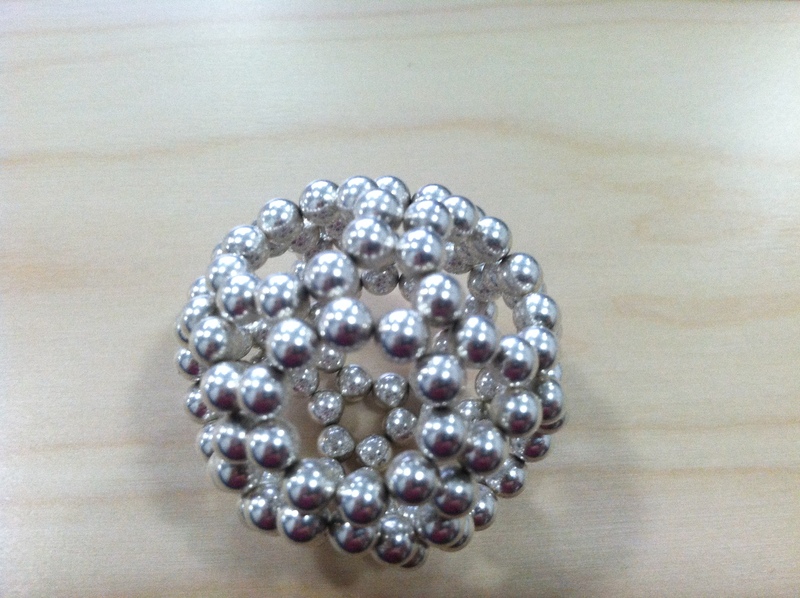 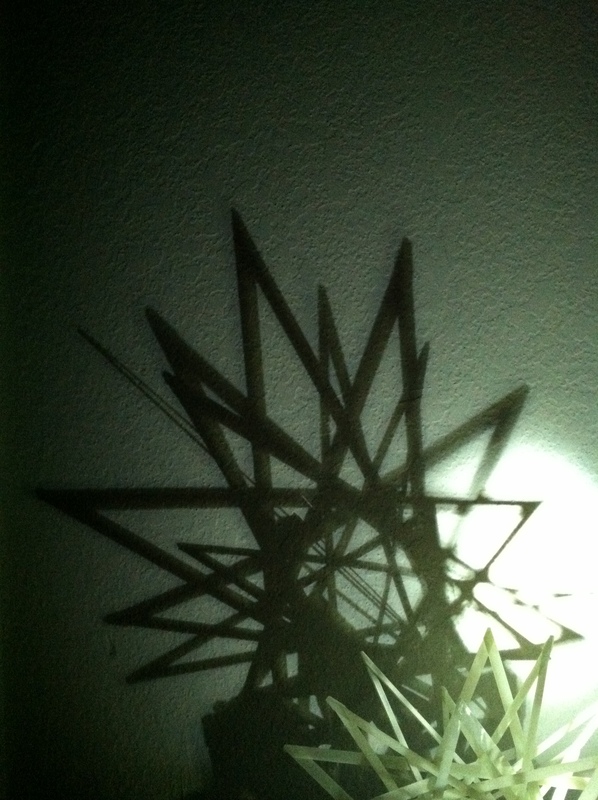 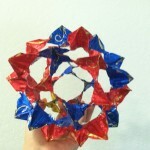 This entry was posted in Life, Math Art and tagged archimedean solids, geometry on August 28, 2012 by hawksley.